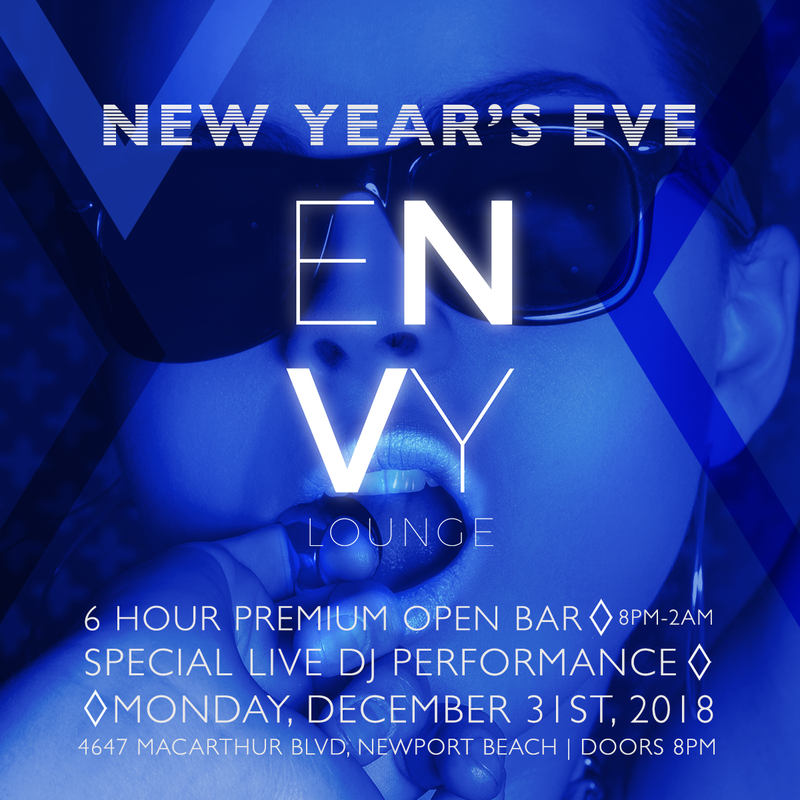 Get ready for New Year’s Eve at the exclusive Envy Lounge in Newport Beach, where we’ll launch the New Year off in style. This is Orange County’s sexiest lounge, and Envy won’t hold back on this bash. A five hour open bar keeps you satisfied for the rev up to the countdown and entertained long after. Mingle under lavish blue drapery as candles flicker in this 20’s speakeasy-meets-modern lounge. Dance betwixt brick columns to a live DJ who will spin the hottest tracks from Top 40 to hip hop. Looking to take this party to the next level? Pick up a VIP package with amenities like reserved seating and bottle service. Nightlife giants Sammy Lakhany and Ali Hojat have created a masterpiece in this glittering haunt. With accents of crystal and gold all around you, it’s no wonder the nitery is so successful in delivering lavish evenings. There are two stories of entertainment to enjoy and an outdoor patio, and yet somehow the entire venue feels intimate. Kick off the New Year at this luxurious OC hotspot– there’s no other place that intertwines decadence and fun quite like Envy.